At the 2015 Scottsdale, Arizona classic car auctions, six auction houses offered nearly 3,000 collector cars for sale and earned nearly $300 million. Barrett Jackson alone sold 1,600 vehicles. RM Auctions set a new record high price for the auction week with a $9.6 million Ferrari and the highest per car price of $559,000. In total, 42 cars achieved results in excess of a million dollar each. The annual mid-January 2015 is the largest collector car auction week in the world. While the mid-summer Monterey classic car week attract the largest number of million-dollar plus cars, Scottsdale have a much higher volume. In 2015, a total of 2,939 collector cars were offered for sale at the Arizona week. The sell-through rate was 86% with the average price per car of $115,729. In 2014, 2,815 cars were on offer of which 82% sold for an average price of $107,096. 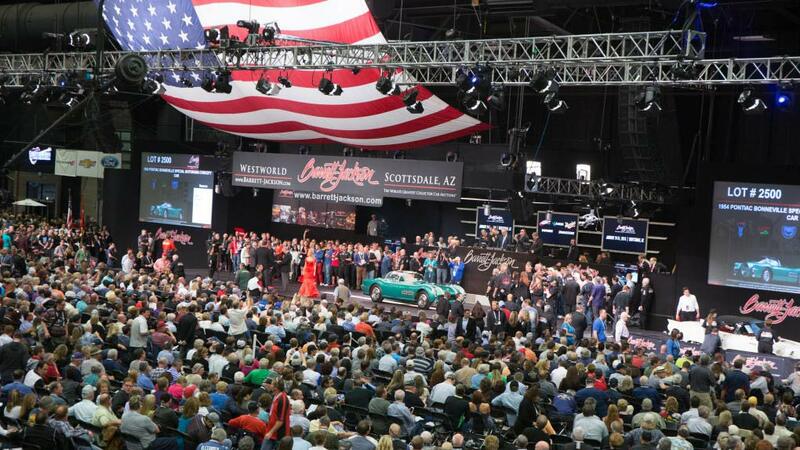 Barrett Jackson remained the leader in volume and impressively too the best sell-through rate. Barrett Jackson had the auction spread over a ten-day collector car extravaganza and deservedly had the highest takings too. During Scottsdale 2015, Barrett Jackson also collected nearly $9 million for charity. RM Auctions set the new auction week record for Scottsdale with $9,625,000 for a 1964 Ferrari 250 LM. RM Auctions 2015 Arizona sale achieved results in excess of a million dollar for 17 cars and the highest auction average per car of $558,775. 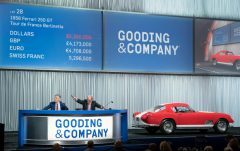 Gooding & Co had an even higher sell-through rate but average $451,900 per car and sold 11 cars in excess of a million dollar. Surprisingly, only one of four Mercedes Benz 300 SLs cleared the reserved margin. Bonhams had the second-highest result ever at Scottsdale when selling a 1966 Ferrari 275 GTB Competizione for $9,405,000. Bonhams was unfortunate that three Ferraris fell just short of the reserve near $3 million – deals were certainly possible but traditionally, Bonhams (as RM and Gooding) does not include any post-hammer deals in results. Russo and Steele had 661 cars on offer but with a low 63% sell-through rate for an average price per car of $41,612. Its top result was $1,4 million for a 1955 Mercedes Benz 300 SL Gullwing.